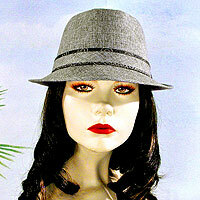 Fedora Hat in a weave design with band. Color: gray. Hue: gray. color code: #8D8D8B. 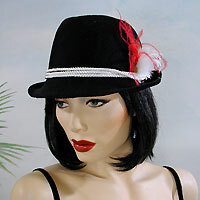 Measurements: width 9-3/4", depth 4½"
Alpine look fedora hat with white and red feathers. Measurements: width 10", depth 4½"